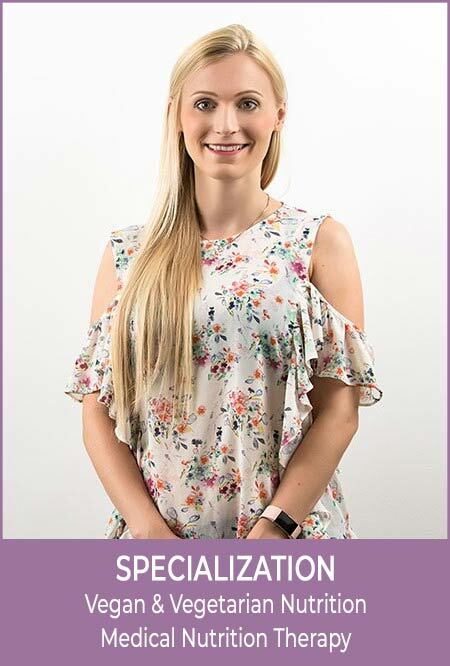 After her initial training as Clinical Dietitian in Germany, Katharina worked for several years in Germany before continuing her career as nutritionist in Dubai. She is licensed with the German Dietitian Association (VDD) as well as the Dubai Health Authority (DHA). Katharina is very keen on deepening and updating her knowledge on the latest research in the field of nutrition, medicine and health by attending and contributing to conferences and seminars on a regular basis. Katharina is specialized in Medical Nutrition Therapy and plant-based nutrition – she is vegetarian for more than 20 years and eats fully plant-based for the past 6 years. Nourishing foods including plenty of fruits and vegetables completed by healthy fats and protein sources are the essential ingredients in her eating plans. Katharina is passionate about helping you to understand that slight changes to your diet and lifestyle routine can make a big difference to your health and overall well-being. Her passion to help others starting a healthier, happier live without fad diets or giving up the foods they love is what inspired her to set up Beyond Nutrition and its holistic concept in 2016.